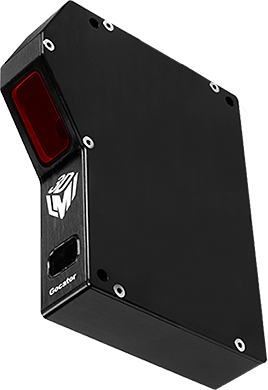 LMI Technologies’ Gocator 3D Smart Sensor technology has worked to advance 3D smart sensor technology for fast and accurate measurement. The flagship Gocator product line helps factories achieve 100% inspection, reduce waste by optimization, and improve efficiency by simplifying automation. LMI Technologies is certified as a Universal Robots partner. 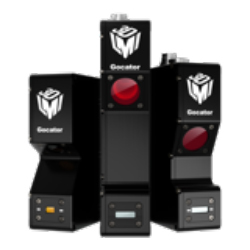 The Gocator 1300 Series is an all-in-one 3D smart displacement sensor. The next generation of high speed (32 kHz) distance measuring devices. 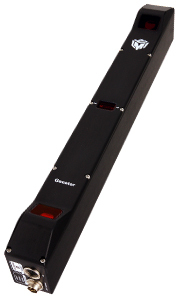 Compact and lightweight, Gocator 1300 Series laser point profile 3D smart sensors are simple to network and integrate, and ready to scan, measure and control out of the box. 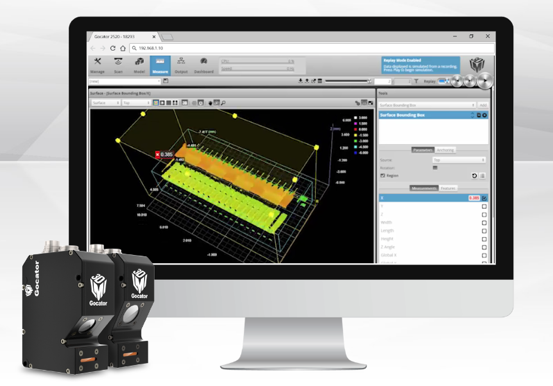 The Gocator 2100 Series of laser line profiler 3D smart sensors is an easy-to-use scanning and inspection solution which is also cost-effective. The Gocator 2100 Series empowers factories to improve efficiencies in product validation by leveraging the value of 3D measurement at a competitive cost to traditional 2D solutions. 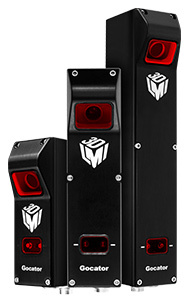 The Gocator 2300 series of workhorse 3D laser line profile sensors are designed for the demanding industrial conditions of the factory floor. Gocator’s simple and flexible design enables factories to reduce costs and maximize profitability by improving efficiencies in product validation. 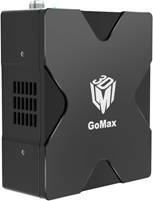 The Gocator 2300 series comes in five standard models but can also be customized to suit specific factory automation requirements. Gocator 2400 laser line profile sensors are designed for 100% inspection of challenging targets, such as micro-features on small electronic parts, and dark materials such as tire tread/sidewall and rubber sheets in high-speed inline applications. 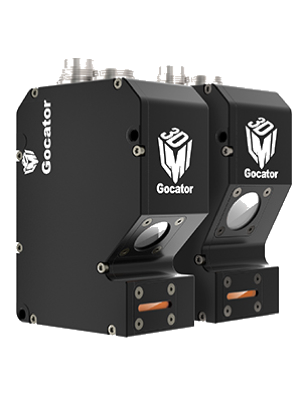 Gocator® 2500 high-speed 3D laser profile sensors provide complete 3D inspection from onboard the sensor head (including scan, measurement, and control)—at blazing speeds up to 10kHz. Blue laser and advanced optics deliver superior data quality on micro-features and challenging material surfaces (e.g., dark, specular). The Gocator 2880 smart sensor is built to thrive in the demanding industrial conditions of the factory floor. Gocator’s simple and flexible design enables factories to reduce operational cost and maximize profitability by significantly improving efficiencies in product validation. With its built-in dual cameras, the 2880 can rapidly generate complete scans of large objects with complicated shapes. Gocator 3200 provides a large field of view and measurement range, letting you perform quality inspection on multiple features with a single snapshot. 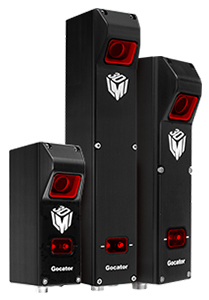 The all-in-one smart snapshot sensor offers high resolution for accurate measurements down to 35 μm* using a stereo camera and an industrial projector to deliver long lifetime and uniform lighting throughout the measurement volume. 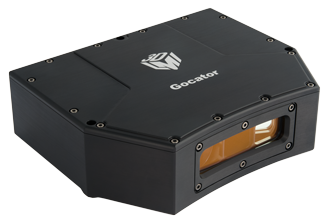 The Gocator 3506 stereo snapshot sensor is the next level in structured light technology. High accuracy (12 μm) combined with excellent speed (3 Hz) make it ideal for the robust inspection of small parts that are momentarily stationary in an inline process. Choose from the “scenarios” listed for an authentic Gocator experience- right from your desktop, without a physical sensor. Each scenario includes real 3D scan data and built-in measurement tools for you to explore. Advanced Control Solutions is a LMI Technologies distributor in Georgia, Tennessee, Alabama and Mississippi. We offer free evaluations and technical support to help our customers solve their applications.